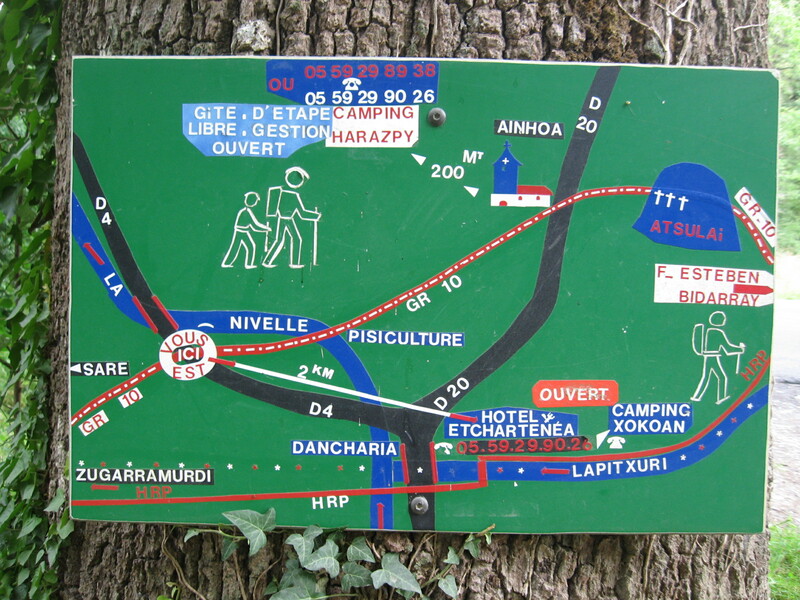 Friday, July 9 – Hiked from Ainhoa to Sare – 4.5 kms. | Say Mar Say! - C'est Marseille! 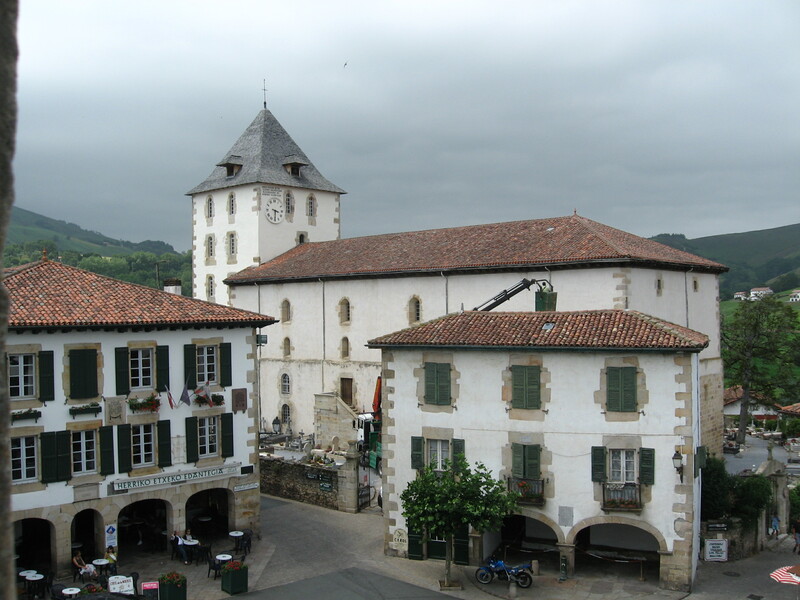 Friday, July 9 – Hiked from Ainhoa to Sare – 4.5 kms. Pleasant hike to Sare as weather had cooled. Had made reservation at a chambre d’hote in adjoining old quarter but was told to go to a Hotel Arraya in town to check in. When they realized we had no car, they said we could stay at the hotel for the exact same price and they showed us to a very nice room with antiques on top floor. Very pleasant town. We had decided to stay two days as there are good day hikes around. Had excellent dinner at the hotel outside terrace. Impeccable. 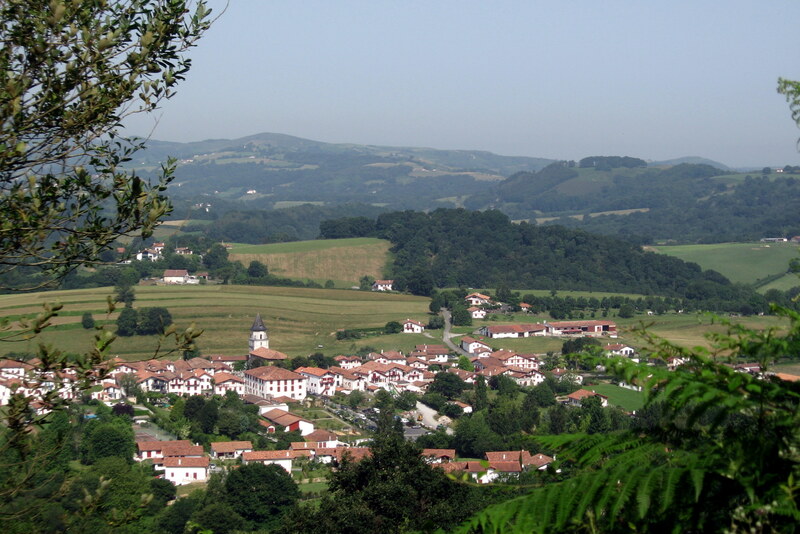 This entry was posted on February 7, 2013 at 9:54 am and is filed under Hiking In France. You can follow any responses to this entry through the RSS 2.0 feed. You can leave a response, or trackback from your own site.